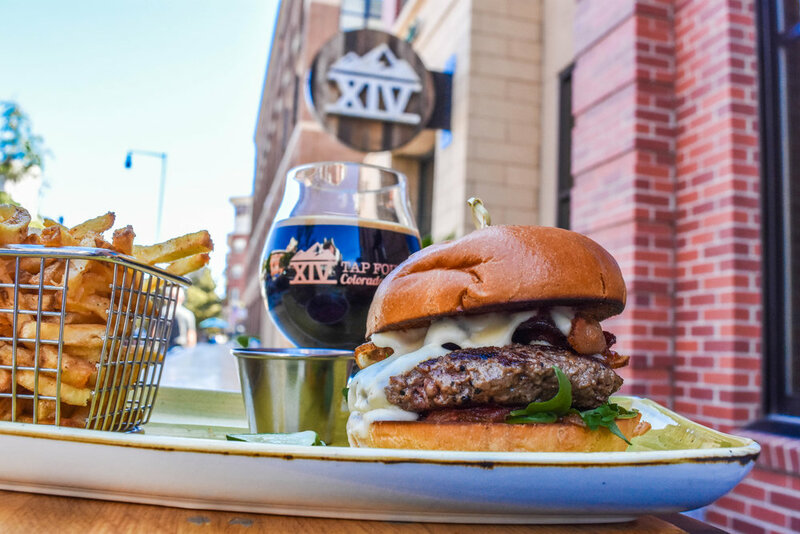 At Tap Fourteen we source all of our beef from local, Colorado ranches. Not only is the beef we use local but it is also grass fed and grass finished without the use of any antibiotics or hormones. It is one of our highest values to provide our customers with not just great tasting food but also food that will nourish their bodies and that is sourced locally. As of this writing we are sourcing our beef from Corner Post Meats whose ranch is just outside of Colorado Springs. We have a great partnership with Corner Post so we expect to be using their products for long into the future. If we ever do change to another company, it will still meet our standards or Colorado sourced, grass fed, grass finished and raised without the use of hormones or antibiotics. This standard doesn’t just apply to our beef but to all our non-seafood meat. Our chicken, pork, and all beef products are organically raised right here in Colorado.